It's that time of year again and spring is finally here! 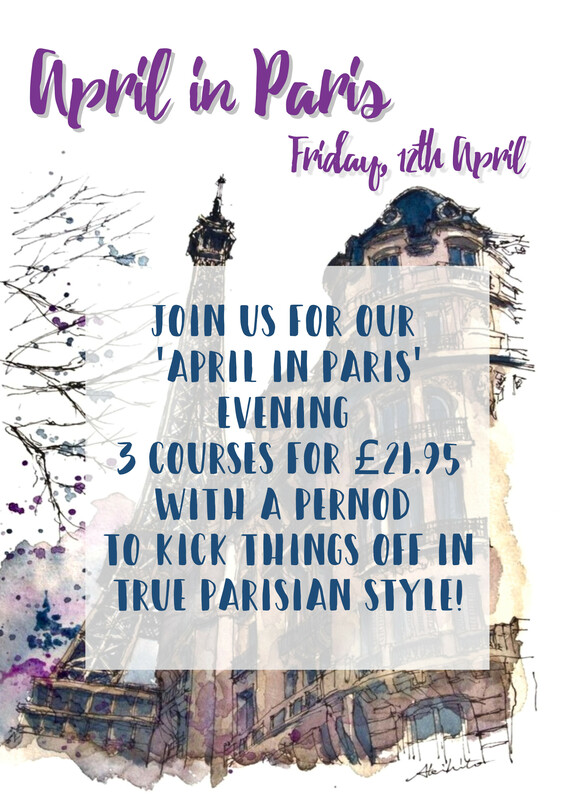 Join us for our 'April in Paris' evening... 3 courses for £21.95, with a Pernod to kick things off in true Parisian style! "April in Paris, this is a feeling no one can ever reprise." Book now to avoid disappointment as spaces will fill up quickly!